In California, one of the most used publically available data assets are the CCTV images on the Caltrans public web portal. Typically, the image data is retrieved from field elements and deposited on the Caltrans public web portal server using two types of communication networks (field element network, administrative network). In order to retrieve data from the field elements and deposit that data on a web server located on the administrative network, Caltrans District 2 uses an Information Relay. In rural ITS deployments there are several key factors that must be overcome to provide timely, accurate, and perceived reliable data. Mr. Koeppen explained how the CCTV Image Relay was designed to be robust enough to effectively deal with slow or unreliable rural field communications. He described and demonstrated the additional add-on features of the relay including geo-location, timestamps, general image processing, and image integrity validation. The technical architecture, software development, and deployment difficulties associated with the Caltrans District 2 CCTV Image Relay were all discussed. The Nevada Department of Transportation has deployed ITS video devices at several remote locations throughout the state to provide better roadway information for the department, Public Safety Officials, and the public. This system provides video to two different audiences with varying requirements – the public and public safety officials. 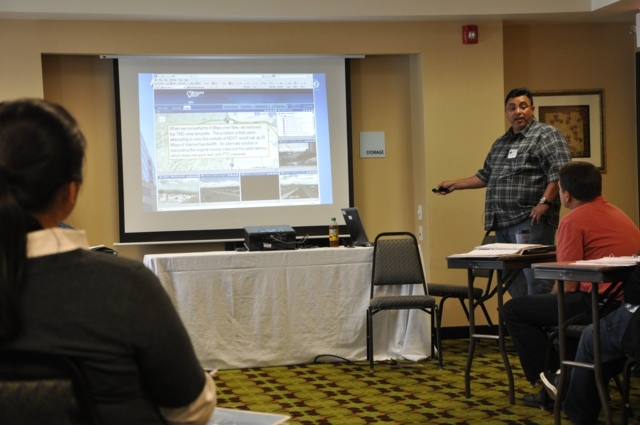 Mr. Lopez gave a detailed description of the design and implementation of the video system including background theory, design criteria, system description and components, maintenance requirements, and initial and lifecycle costs. Calculations used to determine system requirements (e.g., bandwidth, licensing, resource allocation) were presented and discussed. Mr. Lopez included a live demonstration of the system that allowed participants to observe the actual output of the video system and how it applies to the different audiences. 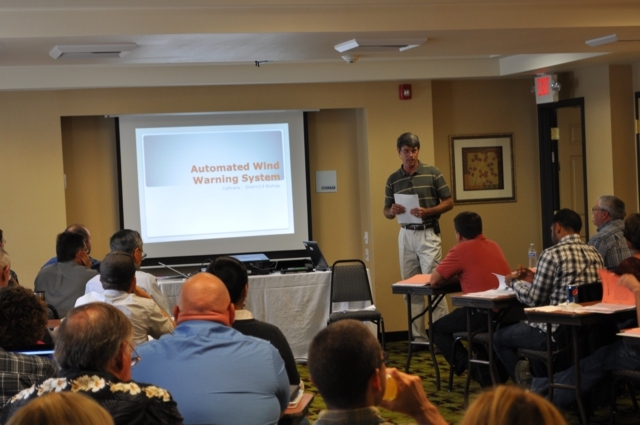 Mr. Graham from Caltrans District 9 presented their practical, economical, and high value Automated Wind Warning System. The system includes a solar power system, flashing beacons, RWIS, unlicensed RF links, and a cell modem for IP communication. Mr. Graham described the design considerations, system components, and the challenges associated with deploying the system. Examples of data and the related notifications were also included. Martha V. Styer, P.E. ; Kai Leung, P.E. California vehicle law 21450.5 (2008) mandates that new or upgraded traffic actuated signals must detect bicycles and motorcycles. Martha Styer and Kai Leung from Caltrans Headquarters explained the various issues and solutions currently being used for reliable bicycle detection particularly in rural areas. One solution being tested is a microwave radar detector that can distinguish between bikes and cars. 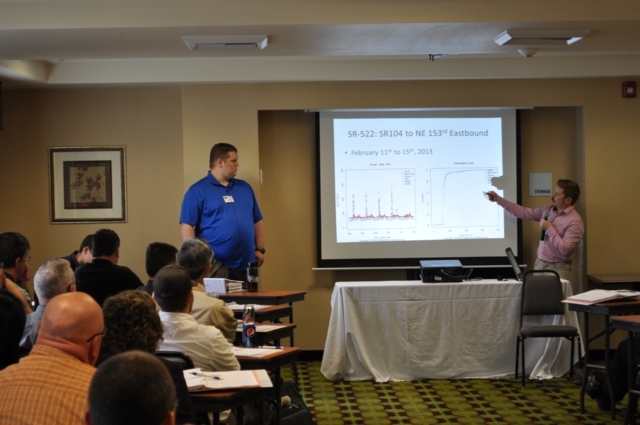 The most recent testing results for the system were presented and discussed. The team also discussed emerging technologies, in particular a system that can detect any vehicle already inside an intersection and then operate a signal accordingly. The Oregon DOT recently issued a Request for Proposals (RFP) to establish a long term price agreement for the Advanced Transportation Controller (ATC) and an additional RFP for ramp metering firmware, other firmware, and programming services for the ATC. The second RFP allows ODOT to use off the shelf software built for the ATC or develop custom firmware to run the agency’s ATC. 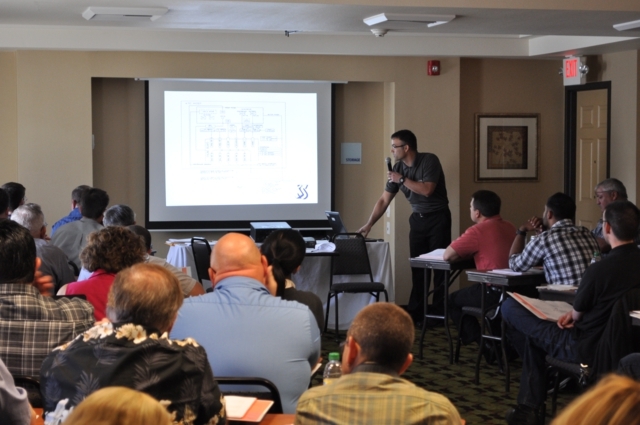 ITS Standards Engineer Doug Spencer, explained ODOT’s need for a Controller, the relevant standards and requirements, the proposal process, subsequent testing, and the challenges that arose throughout. The Western Transportation Institute, in partnership with Caltrans and other members of the Western States Rural Transportation Consortium, have conducted a number of research and development projects over the past 10 years in which DOT field element data and other third party data has been aggregated and redistributed for the provision of traveler information and support of maintenance and operations activities. A challenge in all of these efforts has been the assessment and control of quality of the data presented. Common problems are incorrect metadata, including incorrect station locations, and the inclusion of erroneous data from sensors. Mr. Galarus discussed the data quality control efforts to date on these projects as well as the quality control methods used by other data providers. He also demonstrated the potential for further automation of quality control processes through the use of archived, multi-provider data. The Nevada Department of Transportation has deployed ITS devices at several remote locations throughout the state where commercial wired telecommunication infrastructure sources were either unavailable or cost prohibitive. 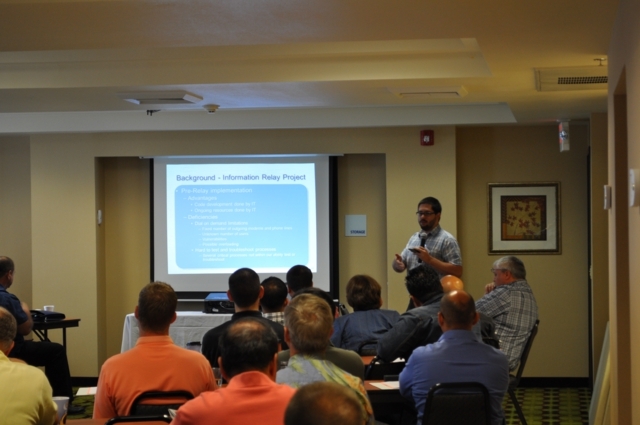 Mr. Whalen provided a detailed description of the design and implementation of working wireless Point to Point (PTP) and 3G/4G cellular systems for a rural ITS installation, including background theory, system description, and selection of system components based on ITS device communications requirements and cost. He described the design methods used to determine best practices and the appropriate system for ITS Smart Zones in addition to network performance and capabilities for ITS device requirements. 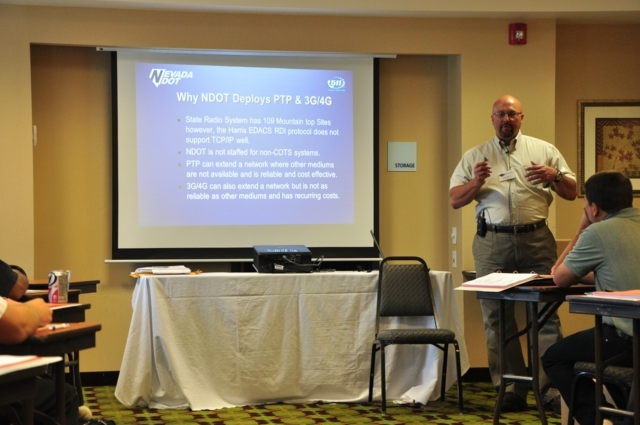 Mr. Whalen included a demonstration of both platforms used in NDOT’s rural ITS application to allow participants to observe the actual output of the photovoltaic system components under varying environmental conditions. Timely and efficient winter road maintenance is a high priority for the Idaho Transportation Department and a variety of treatment materials are employed by a winter maintenance operation fleet of over 500 vehicles. ITD also has a statewide network of Road Weather Information Systems (RWIS) used to monitor atmospheric and pavement conditions. Until recently, the analysis and maintenance decisions and procedures driven by the RWIS data were not standardized across the state. 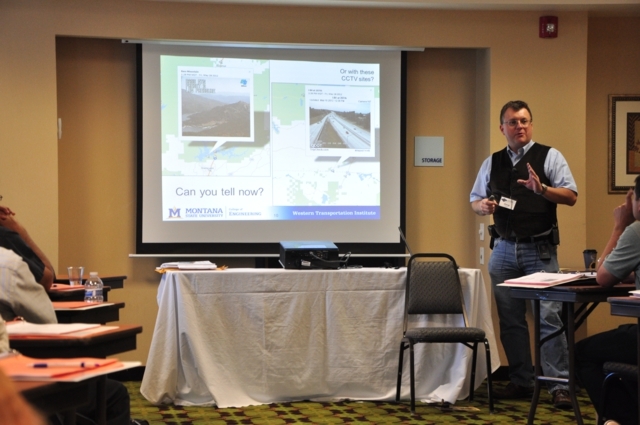 Dennis Jensen, ITD’s Winter Maintenance Coordinator, described how ITD has developed two winter maintenance performance measures that are calculated from the RWIS data and how those measures are being implemented in operations activities. He provided details on the development of the performance measures, data collection, and the calculations involved, as well as 2012-2013 winter statistics and the web presentation of the performance measures. The ability to produce reliable and accurate performance measures of transportation facilities is becoming increasingly important while the relatively new capability of relaying traveler information back to the users through smart devices and in-vehicle systems is gaining interest. The Washington State DOT has instrumented two corridors to evaluate the effectiveness of several different data collection devices side by side. The University of Washington (UW) is conducting the study. 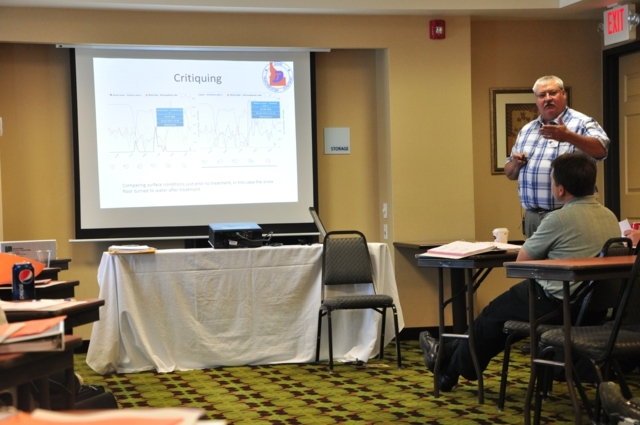 Yegor Malinovskiy and Jonathan Corey from UW presented an overview of the project and the technologies being studied and then delved into the project methodology, data analysis, and detailed study results.